Answer America is a pay-as-you-go telephone answering service provider. Its features include toll-free numbers, call diverting, pre-set call instructions, SMS and email notifications, and more. In this article, we cover user reviews and pricing. Ready to get started with Answer America? Visit their website. As of the date this article was written (12/13/18), there are no positive user reviews of Answer America online. If you are a past or current Answer America customer, leave a review to help other business owners who are deciding whether or not to use the service. 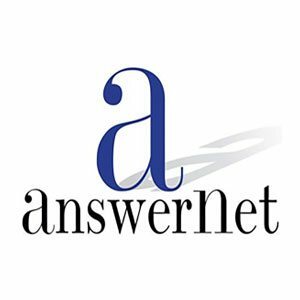 There are not a lot of negative user reviews for Answer America as of this writing. However, some users have bad experiences with customer service and sales follow-through. Answer America is a pay-as-you-go service. It offers top-up bundles for purchasing service credits that can range between $30 to $100 and up to $750. Each call is $0.90 to $1.20 worth of credit with a minimum credit purchase of $30. Users are also required to make at least one call per month. 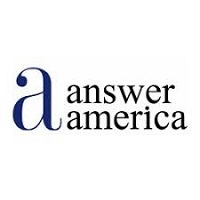 Ready to get started with Answer America? Visit their website. 6 Best Answering Services for 2018 — Answering services provide live or virtual receptionist phone solutions so calls are answered around the clock. In this guide, we examined several answering services and narrowed down our top six choices in terms of price, features, and customer support, to determine the best overall. How do Answer America agents handle calls from different clients? Answer America’s agents are trained to handle calls from multiple clients. When a call comes in, a window automatically pops up containing specific call requirements and guidelines which will be the basis for the agents’ response. Does Answer America record all the calls they take? Yes, but only for training purposes. Recorded calls are purged periodically for safety and security reasons. Not sure if Answer America is the right fit for you? Read our reviews of top answering service providers or check out one of these three Answer America alternatives. Requires monthly verification call to continue service; can’t be done online. Also, service seems to be declining in terms of customer service and wait time. I called today to notify them that I would like to keep my line open and continue my service. I was put on hold and I waited 15 minutes before hanging up and calling back. When my call was answered a second time, I was asked to be placed on hold again, which I refused and left a complaint. What does the company do well? Hmmm….let’s see: not answering your calls, leaving your customers on hold, hanging up on your customers, stealing your money, ignoring support request, employing uneducated idiots, should I go on? They don’t do anything well besides ripping you off, helping you lose customers, and stealing your money. I wish I had read previous reviews like those here and on Yelp, this company is the worse I’ve ever dealt with. Please, save yourself, RUN AWAY FROM THIS COMPANY AS FAST AS YOU CAN. Have rude uneducated people taking your calls. They do that very well. They are not professional. They don’t care about your complaints. They only care about the money. that they had teenagers that don’t know how to read a script taking the calls. They will even hang up on some of your callers. Very rude. CHEAP AND HORRIBLE SERVICE! I don’t recommend answer america at all. They gave me a number and then a few months later after I printed business cards and advertised it across the web they took the number away. I have a 2nd account for a different business and when I wanted to cancel, was told I forfeited any monies I have deposited and wouldn’t be refunded. 2 different accounts with poor service on both.